Our MMA program has been certified by American Top Team, one of the largest and most successful MMA team in the world. We offer our students an opportunity to train unlimited times per week in our MMA Class, Striking/Muay Thai Class, Sparring Class, Gi and No Gi Grappling Classes. 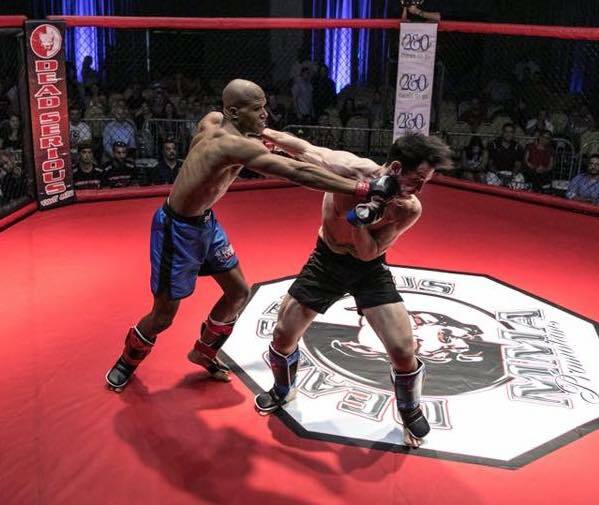 We have fought with Dead Serious MMA and Ring of Combat in the amateur circuit since 2011. We have helped over a dozen students reach their goals of becoming a full-contact fighter. You can however train in our MMA program just for self-defense purposes. There are no requirements for you to compete. Here is a highlight video from one of our Fighters, De'Jon Farrell-Francis. Error: The "MMA Page" signup form is not available for the current location.